Square Up is a magstripe card reader used to help small businesses accept credit cards anywhere. With a quick swipe of the card through the card reader, your business gets paid fast and easy. Because it also offers a POS (point of sale) system, this payment method makes it easy for a customer to sell a product and manage their inventory. A website that allows you to sell your products offers another easy way for your customers to get your products. It just makes sense to allow your customers to pay using the tools you already have. To accommodate this, we’ve built a seamless tool that allows your customer to pay directly on your website, process the payment in Square and send the email to your customer. This will also add to your website security, as cards will not be stored in your Magneto database and you will not have any manual interactions with the customer’s credit card number. If you’re running your website on Magento 1 or Magento 2, there’s an easy way to use Square. 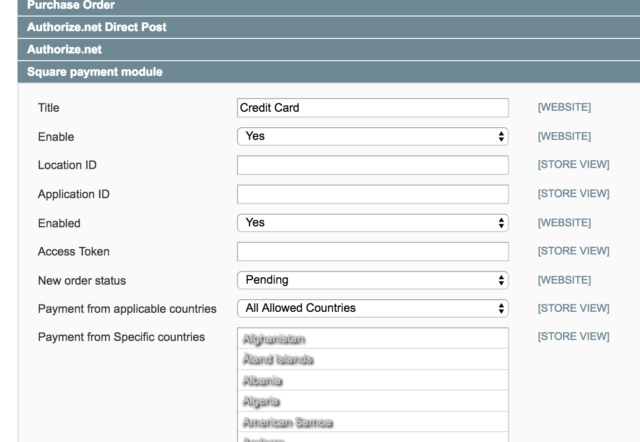 With a few fields to input, your Magento instance will be accepting payments directly through your Square system. On the frontend of your website, everything will be seamless. You can name the payment system anything you want. By default you will get “Square payments” but you can set to “Credit Card” since your customer probably doesn’t really care, but you can also name it something more verbose. It will look clean, simple and the customer will see something like this. Each field is a requirement for the payment processor to take your customer’s card. 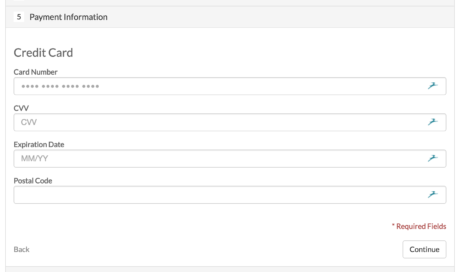 It is also possible to adjust the way it looks, to some extent, and the default (placeholder) text that appears in each form field. Due to the variety of payment and checkout extensions, we are currently only selling this with our installation service. This is done to protect your store from errors, downtime and code conflicts at checkout. We install this during nighttime hours so your customers will not experience a broken website or checkout. You can give us your Square credentials or we can let you add them in on your own.